This is the premium grade Lapsang Souchong made by the orthodox processing from the orgigal place of Lapsang Souchong, Tong Mu Guan 桐木关, which is in the National Wuyi Nature Reserve Park. It is featured by the strong pine smoke flavor. And the material is from local mixed small leaf cultivar growing in the rocky field. It is conformed to EU-regulation. Welcome to inquire with us info@wufeng-tea.com. Nowadays many foreign customers come to China to buy the famous black tea Lapsang Souchong. However in many cases, they will be lost in the wonders as what is real Lapsang Souchong when they are facing the so many offerings of the Chinese sellers, Jin Jun Mei, Xiao Chi Gan, Zheng Shan Xiao Zhong smoky type, Zheng Shan Xiao Zhong non-smoky type. To make clear on this question, it is necessary to have a study on the word Lapsang Souchong itself. Lapsang Souchong is an English word invented in around 1850s. 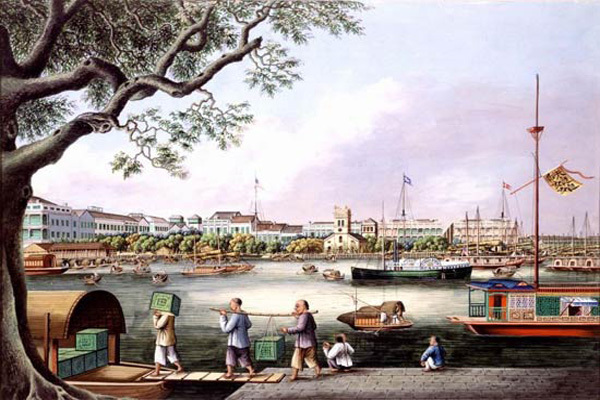 At that time the Chinese Fuzhou Port (also as the capital city of Fujian province) was officially opened to the foreign countries for trade after the Chinese Qing Empire lost the first Opium War with UK in 1842. The English came to trade Chinese teas through Fuzhou Port. 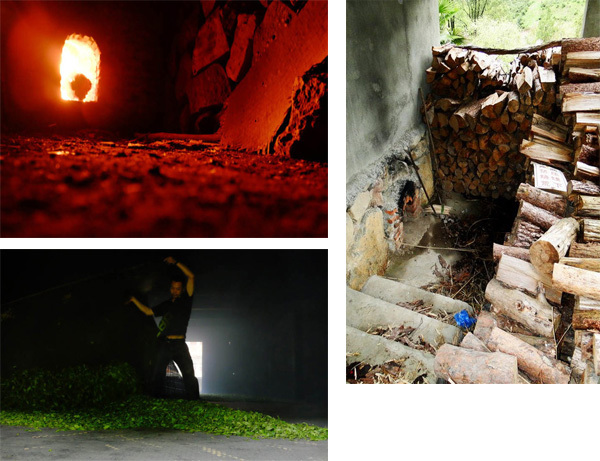 One of the teas from the Northwest Fujian Wuyi Mountains area was called as Le Xun, which was from the local Fuzhou dialect means pine smoke baking. 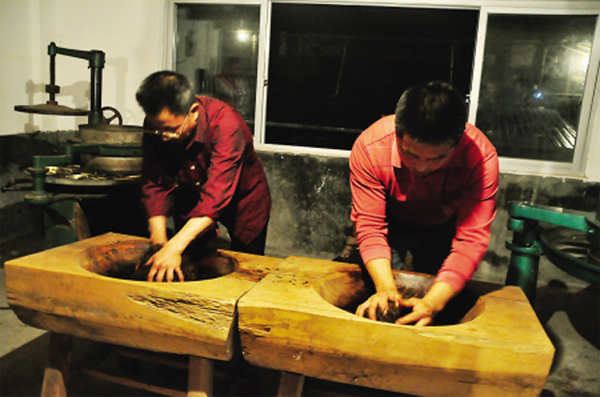 (In Fuzhou dialect, Le means Pine smoke and colophony, Xun means baking). Le Xun’s pronunciation in English was written as Lapsang. And Suchong was a commonly used word to state sub-variety at then. So is the word origin of Lapsang Souchong. From the above study, we can know very well that Lapsang Souchong is referring to a black tea with pine smoke flavor. Actually there is one other inference that Lapsang Souchong need pine smoke baking in its processing. it will be introduced in the Processing part of this article. Lapsang Suchong in Chinese is translated as Zheng Shan Xiao Zhong 正山小种. According to some record, Lapsang Souchong is the world oldest black tea. It was invented in the end of Ming Dynasty (around 1600s) in the Wuyi mountain area, from the mutative processing of Song Luo Green Tea. 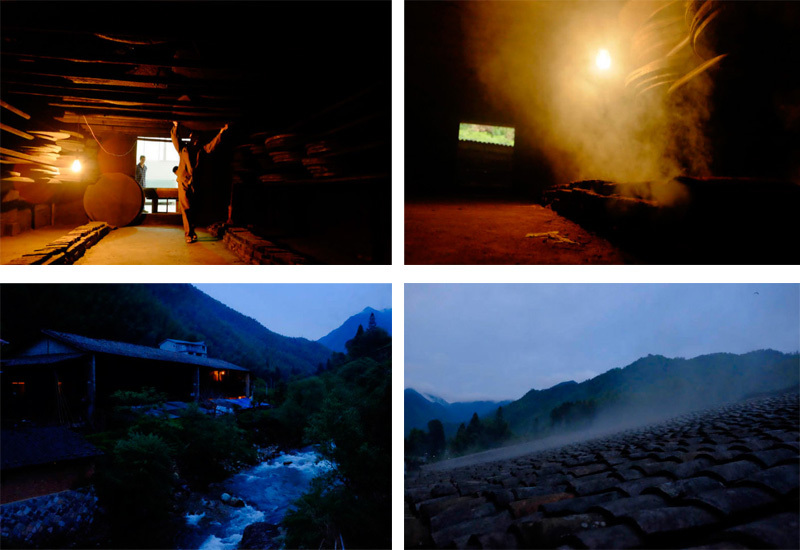 Though both of them were invented in the Wuyi Moutain area, the original center of Lapsang Souchong is around 70KM away from the original center of Wuyi Rock Tea. The original center of Lapsang Souchong is Tong Mu Guan 桐木关. A story tells that in end of Ming Dynasty, an army had passed by Tong Mu Guan, and a tea factory was temporarily requisitioned for night camping. The soldiers slept directly on the withering tea leaves spread on the wooden plates. The tea leaves were rolled and rubbed. The tea juice got fermented in the night. The next morning the army left and the owner of the tea factory wanted to save the damaged tea. So he asked his workers to fry the tea in a hurry and used heavy pine smoke to bake the tea dry, trying to hide the strange flavor with strong pine smoke flavor. After the tea was made, he carried it to sell in nearby tea market in Star Town 星村. He had just wanted to sell the tea with very low price. Unexpectedly, the tea was sold at very high price. And the buyer even made a deposit for next year purchasing. So this new tea was invented and well accepted by the market soon. This tea was later called as Lapsang Souchong. 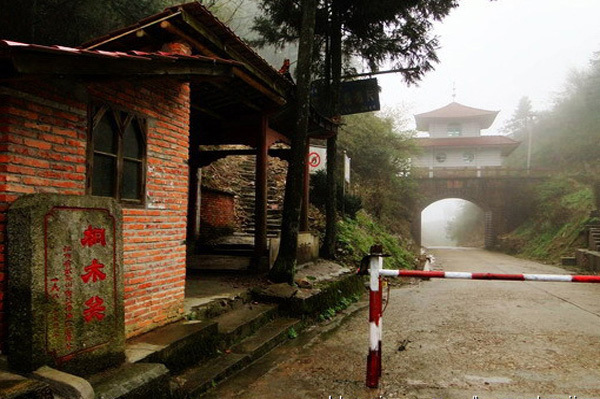 Tong Mu Guan was the ancient gate of Tong Mu Village, which has an area of 210km2. 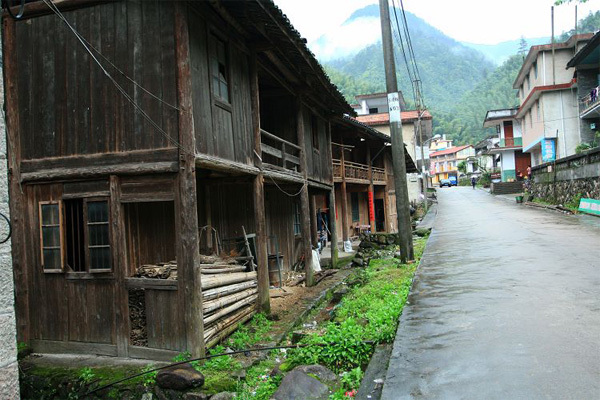 The average altitude of this village is 800m, and it is all covered with dense forestry. The ground of Tong Mu Village is mainly composed by rocks and stones. 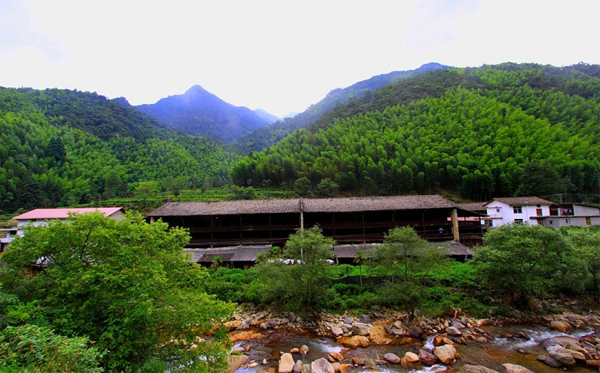 These tea-favored geographic conditions impart the Tong Mu Village tea with outstanding nature. 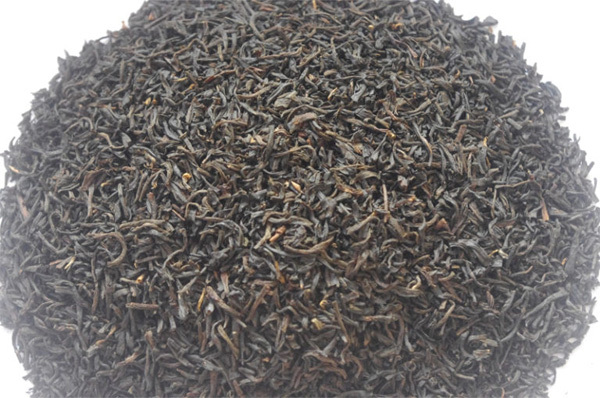 The Lapsang Suchong black tea is very popular among the customers ever since its birth. However the small Tong Mu Village could not meet the huge demand from the overseas market. It was imitatively produced in elsewhere of China. Later the black teas produced in elsewhere of China evolved into the black teas with local characteristics. eg. Ninghong Black Tea of North Jiangxi, Tang Yang Gong Fu and Bai Lin Gong Fu of East Fujian, Keemun Black Tea (invented in 1875) of South Anhui, Dianhong Black Tea of Yunnan….And black tea producing was also spread to India and Sri Lanka in late 1850s. In this point, Lapsang Souchong is the ancestor of world black teas. The plucking season of Lapsang Souchong tea is in April to June. And the plucking standard is one bud two leaves to three leaves. In recent years, there is a black tea named as Jin Jun Mei which is made by one single bud or one bud one leaf from Tong Mu Village. However this new invention tea is not traditional Lapsang Souchong, no matter in processing or in its history. 1. Withering- The Tong Mu area of Wuyi is a very rainy place. And the humidity is very high in the tea producing season. To be adapted to this special condition, the Lapsang Souchong has developed the special withering method, indoor warm-up withering. The withering is conducted in the Qing Lou 青楼. Qing Lou is a traditional building with three floors. The second and third floors are used for withering. (the first floor is used for baking which is higher in temperature.) The pine wood is burning on the ground, and the hot air and smoke will go up. So the fresh tea leaves get withered by the pine smoky hot air. 2 Rolling- The Rolling is conducted to damage the cells of the tea leaves, and the extracted tea juice will be able to produce fermentation. The traditional rolling is done by hand. Now many of the farmers are using machine for rolling. 3. Fermentation- The after rolling tea leaves are put in the bamboo basket for fermentation. The fermentation will last around 12 hours. it would need longer or shorter time depending on the temperature. When the tea leaves turn out to be copper red color and start giving off fragrant flavor, the fermentation is enough and need to stop. 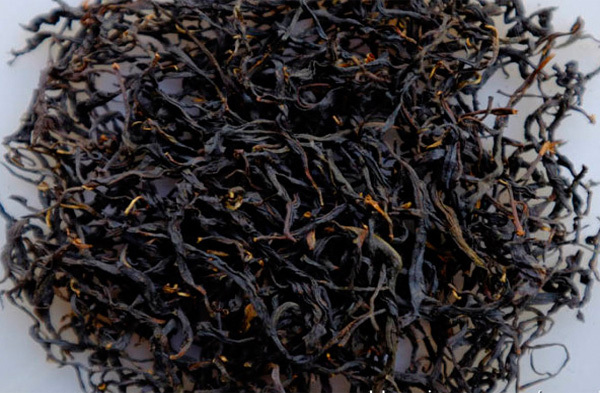 Fermentation is one the most critical processing to form the quality of Lapsang Souchong. 4.Pan Frying (Guo Hong Guo 过红锅)-Though many of the Chinese green teas will need frying processing, Lapsang Souchong is the only one Chinese black tea which will undergo frying processing. Frying is conducted to stop the fermentation of the tea quickly. Actually as we know well that to stop the fermentation of black tea quickly, high temperature baking is a more efficient way, as the other black teas will do. The Lapsang Souchong insistently adopts pan-frying processing. It can be inferred from the later processing that Lapsang Souchong need pine smoke baking. (Smoke baking can not be done in very high temperature.) So the high temperature pan frying is necessary to quickly kill the enzymes and stop fermentation first, which will ensures the following smoke baking processing to take its time to carry out properly. On the other way round, we can know from the unique processing of Lapsang Souchong that it is a tea with characteristics of pine smoke flavor. 5. 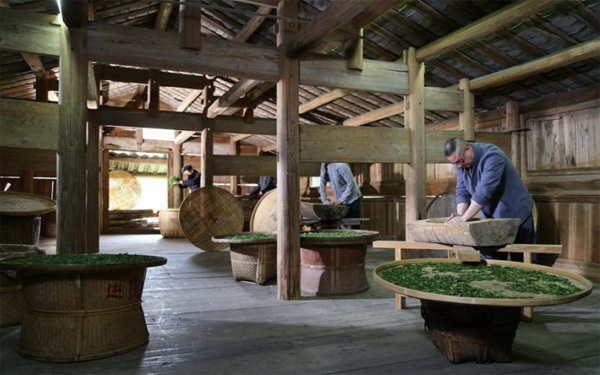 Re-rolling- is traditionally conducted by hand, and now most of the tea producers are using machine for rolling. 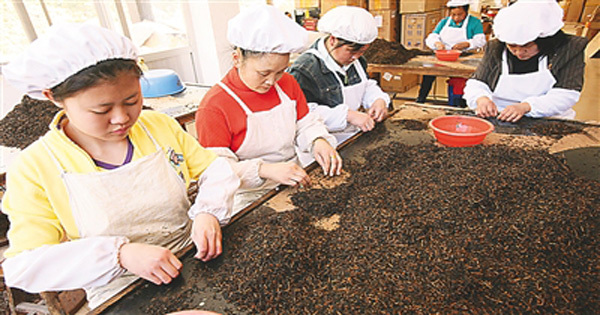 Re-rolling will shape the tight tea body, and the tea juice (already stabilized) will evenly cover on the tea body which will later after drying make the tea look shiny black. 6. 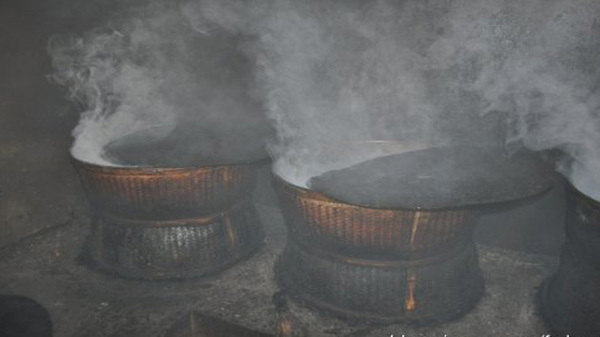 Pine Smoke Baking- is the most critical processing to obtain the pine smoke flavor of Lapsang Souchong. The tea is put on the bamboo plate. And the bamboo plate is put in the 1st floor of the Qing Lou. Pine wood will burn to produce the smoke and heat to bake the tea. The temperature will be controlled not to be too high. It will last overnight to make the tea scented with strong pine smoke flavor and enough dry. 7. Sorting- after baking the tea will be subject to sorting. The yellow leaves, broken leaves and stalk will be sorted out. 8. Re-baking, After sorting the tea will be put on the bamboo basket for Re-baking by hot pine smoke. This processing will further add pine smoke flavor the the tea. This is the finished product of Lapsang Souchong. 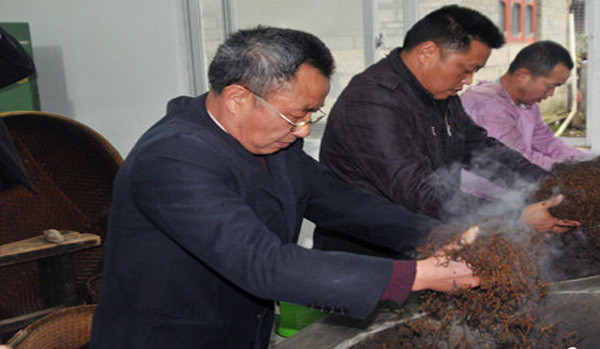 The traditional Lapsang Souchong for overseas market will further undergo refine processing. One of the important handlings is to cut the tea short. This was conducted for the sake of transportation in the past time. As we know that hundreds of years ago the transportation was not easy. And the natural tea body is loose and light, while after cut short the tea can be more tightly packed. It would be able to ship more quantity in the same shipment. This is the reason why the traditional exporting Lapsang Souchong is evenly cut short.